Oops. 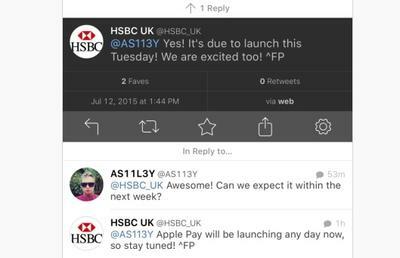 The U.K. Twitter account for bank HSBC recently suggested that Apple Pay will launch in the U.K. on Tuesday, July 14. “Yes! It’s due to launch this Tuesday! We are excited too,” the tweet from HSBC said in response to a customer on July 12, before it was quickly deleted. 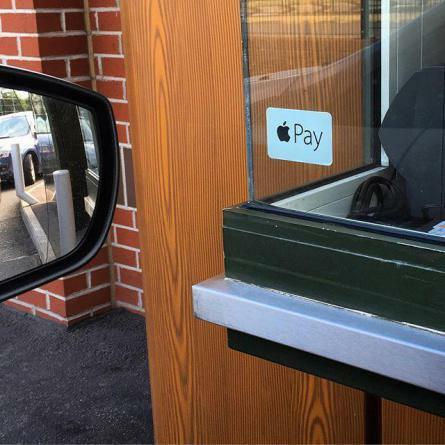 9to5Mac, which spotted the HSBC Tweet, also published photos of retail locations, such as McDonald’s, that are beginning to place Apple Pay stickers in windows and on terminals. We’ve included those photos in the gallery above. 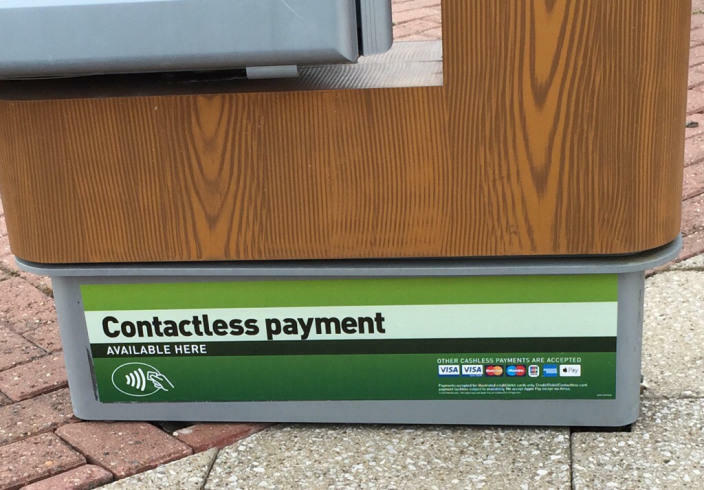 The U.K. Apple Pay launch won’t require any legwork on the end of consumers. iPhone 6 and iPhone 6 Plus devices are ready to roll as soon as the service goes live.